Plant Success Soluble is a soil drench for porous soil and contains 9 species of endomycorrhizae & 10 species of ectomycorrhizae, carefully selected mycorrhizal fungi. 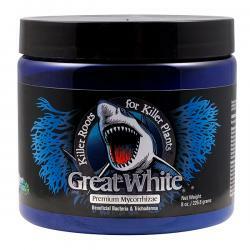 This product also contains 11 bacterial species, 2 species of trichoderma and biostimulant. It is well suited to a variety of soils, climates and plants. 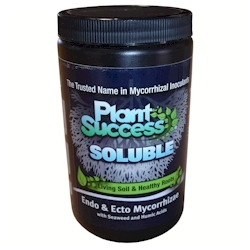 Plant Success Soluble contains mycorrhizal fungi that colonize plant roots and extend the root system into the surrounding soil, greatly enhancing the absorptive surface area of root systems and forming an essential link between plant and soil, which produces seedlings of the highest quality. 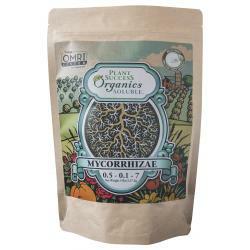 Also included is specially formulated natural root biostimulant. The plant enjoys improved nutrient and water uptake, and superior field performance. 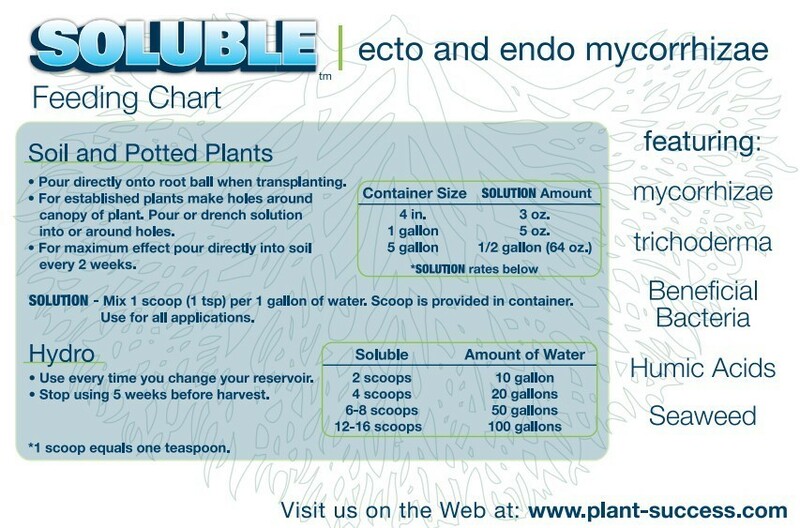 Plant Success Soluble can be stored in a cool dry area for 24 months without loss of viability. Existing landscape trees and shrubs- Mix 6 ounces in 100 gallons of water or 12 ounces in 200 gallons of water. Use spray pattern for deep root feeding. Inject gallon per hole 2 times a year or more frequently for stressed plants. Can be used any time root systems are active. May be mixed with mechanical equipment that allows passage of No. 50 screens (300 microns) or larger particles. Not for sale in the following location(s): FL, HI, IL, MN, OK, PR, WI.